He Bo, also known as Bingyi, is god of the great Yellow River. He is described in his true form as a fish with the head of a man, But he can transform into other creatures. He often rides around in a chariot pulled by dragons. War Salamander: Amphibian unit that can fight on land and water. Arguably the largest amphibian, the War Salamander is a giant-headed creature with tiny eyes and the strength of a bear. Its sight is not its greatest asset, but the creature is covered in sensory nodes that enable it to sense even the gentlest tremors. And while the Salamander is capable of inflicting a lot of damage, it mostly sticks to fish and insects for food. In ancient China, the creature adopted a nickname “infant fish” due to its cries strongly resembling a weeping child. 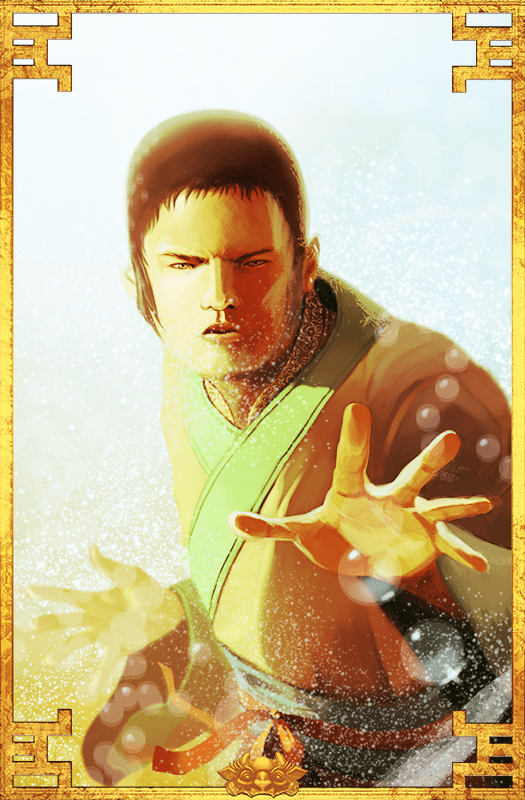 He Bo makes water burst out of the earth’s crust to help you in your fight. Those monkeys definitely don’t like the hot water. Geyser: Geyser is a powerful rush of water that spurts out of the Earth and devours the enemy. It can be unleashed at will by He Bo, the Lord of the River, when he is appeased and sufficiently worshiped. While Geyser can be a deadly weapon, the price to pay for it is often costly. Desperately trying to get into He Bo’s good graces, people would worship the cruel god with human sacrifices, particularly those of female virgins that were offered to He Bo as brides. The girls were ceremonially prepared for several days and subsequently sent floating on a raft on the God’s raging river until they sank. Lord of the River: He Bo improves the hitpoints of your Fire Ships. Rammed Earth: He Bo increases the hitpoints of your Buildings. Sacrifices: He Bo grants a slow, but free and constant Favor trickle.